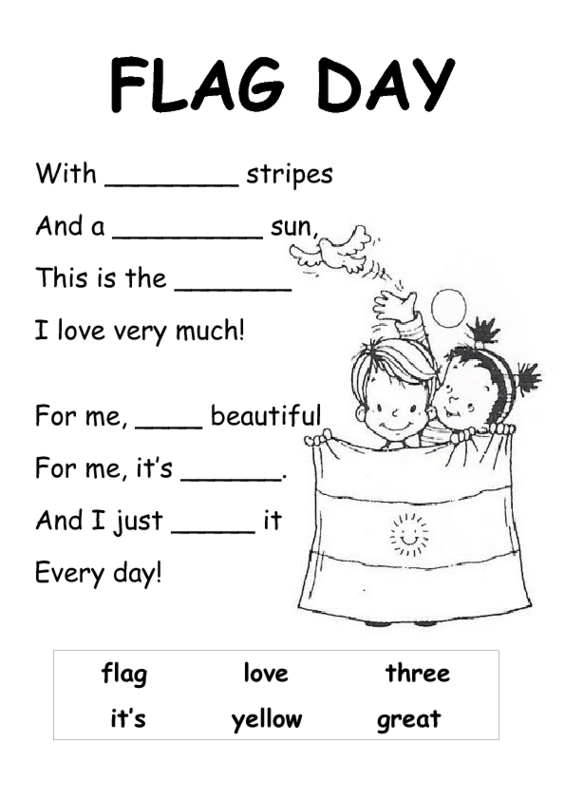 This is a very simple poem I wrote to celebrate Flag Day in Argentina. 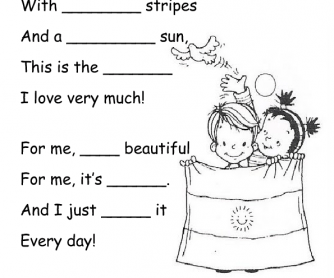 In this worksheet (specially designed for beginners at elementary school), students have to complete the poem with the missing words and then, they have to colour the picture. I hope you find it useful!